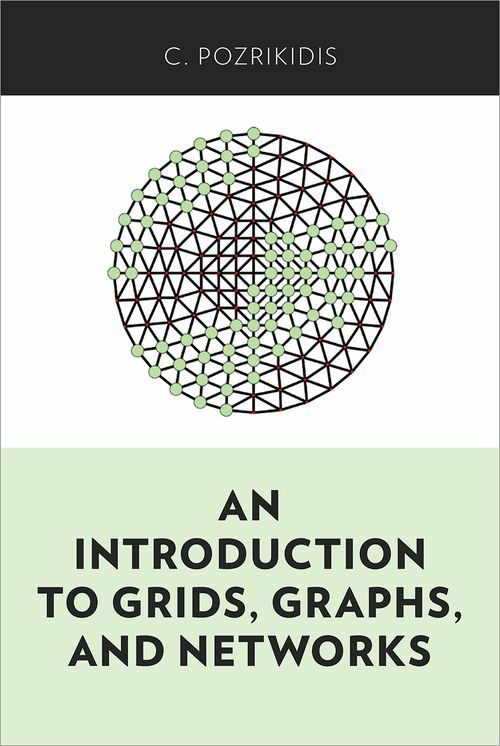 An Introduction to Grids, Graphs, and Networks aims to provide a concise introduction to graphs and networks at a level that is accessible to scientists, engineers, and students. In a practical approach, the book presents only the necessary theoretical concepts from mathematics and considers a variety of physical and conceptual configurations as prototypes or examples. The subject is timely, as the performance of networks is recognized as an important topic in the study of complex systems with applications in energy, material, and information grid transport (epitomized by the internet). The book is written from the practical perspective of an engineer with some background in numerical computation and applied mathematics, and the text is accompanied by numerous schematic illustrations throughout. In the book, Constantine Pozrikidis provides an original synthesis of concepts and terms from three distinct fields-mathematics, physics, and engineering-and a formal application of powerful conceptual apparatuses, like lattice Green's function, to areas where they have rarely been used. It is novel in that it grids, graphs, and networks are connected using concepts from partial differential equations. This original material has profound implications in the study of networks, and will serve as a resource to readers ranging from undergraduates to experienced scientists. Constantine Pozrikidis is a professor of chemical engineering at the University of Massachusetts Amherst. He is the author of Introduction to Theoretical and Computational Fluid Dynamics, Numerical Computation in Science and Engineering, and Introduction to Theoretical and Computational Fluid Dynamics.